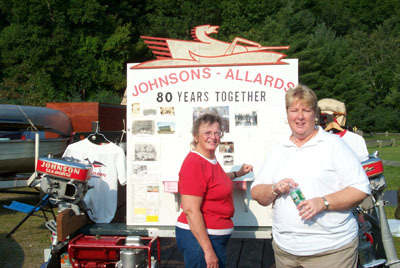 The Johnson 85th Anniversary Celebration was easily the most successful meet our chapter has ever held with attendance at well over 100 people including friends and family. 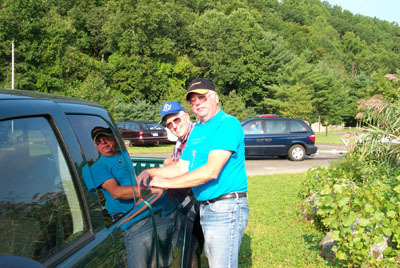 AOMCI members from as far off as Maryland and Virginia were in attendance with several folks spending the night at hotels nearby. 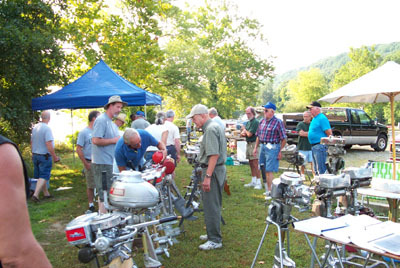 The real measure of success for any Yankee Chapter meet is our members running motors and having fun, so in this regard it was a perfect day! 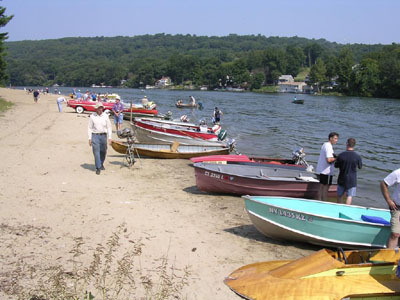 At one point I counted over 30 boats on the beach with many others out cruising around, what a great crowd! 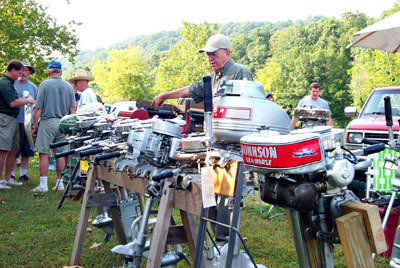 But, of course, the stars of the meet are the motors and this was a once-in-a-lifetime opportunity to see some very unusual and rare Johnson outboards and related items. 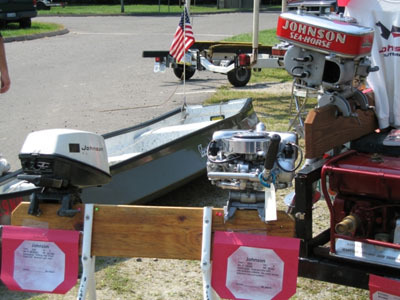 I’m sure if Lou, Harry and Clarence Johnson were looking down from heaven they were beaming at the wonderful turnout for the outboards bearing their name! 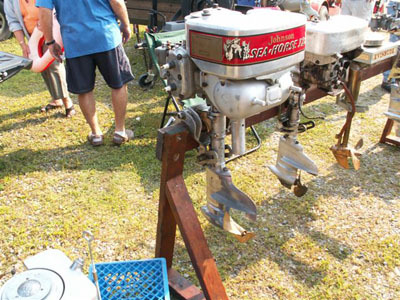 On display must have been the largest gathering of early Waterbugs/Light Twins since they left the factory, over 25 were counted. 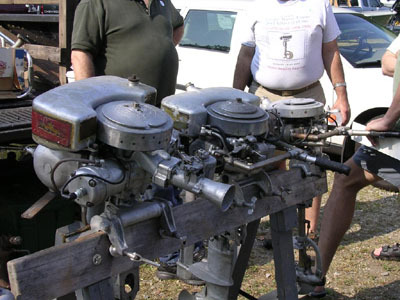 And there were many really lovely original and restored open flywheel motors from the 1920’s through the 1940’s. 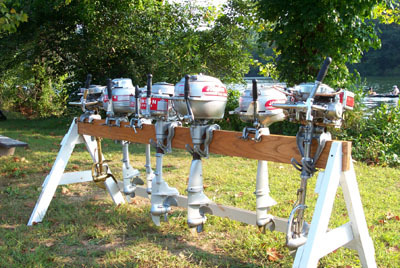 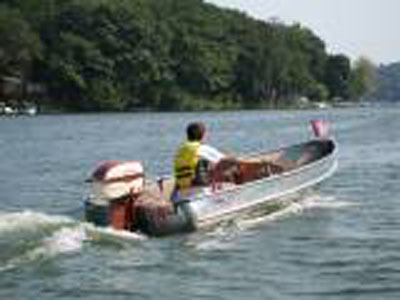 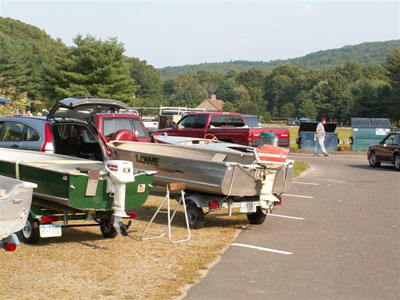 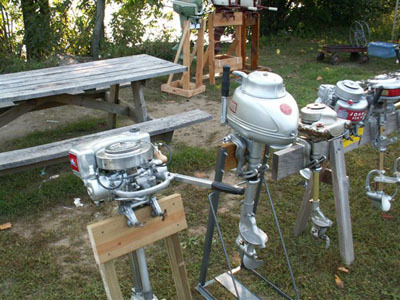 (These are always among the most popular outboards with Yankee Chapter members.) 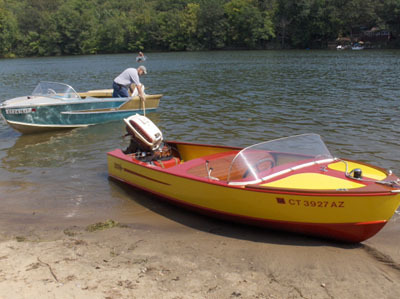 Classic motors from the 1950’s were also well represented and got a good workout along with the vintage (and more modern) boats they were attached to! 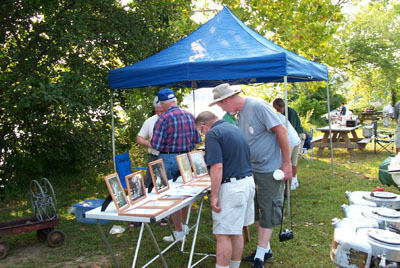 The photos below can only give you a taste of what was displayed at the meet. 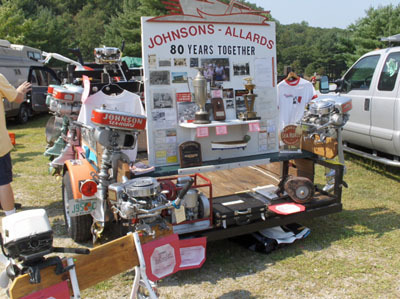 Some things like the Allard's wonderful display of Johnson advertising and dealer promotional items, Bob G's XR-55 and Bob Z's 1929 Johnson Stern Drive are beyond description. 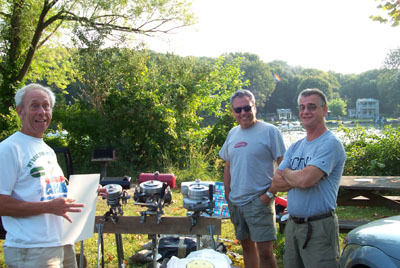 Greatly appreciated are the photos seen here provided by Tom C., Matt M., Frank P., Norm W. and Harry S. (the "Hurricane" retired for the day) And a special tanks to "Team Maffei" who provided still photos and put together 4 U-Tube videos of the event. 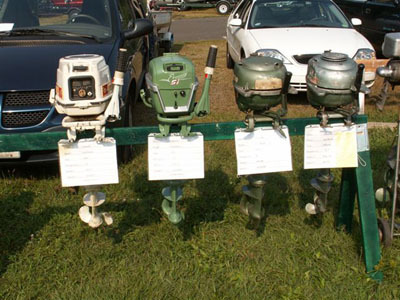 I know many of us will re-live the meet many times through these as the winter closes in! 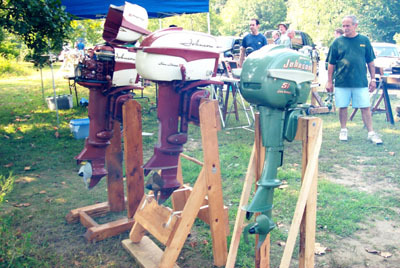 On the right - Rich C's almost perfect original 1954 Johnson 5 1/2 - people marveled at how nice it is! 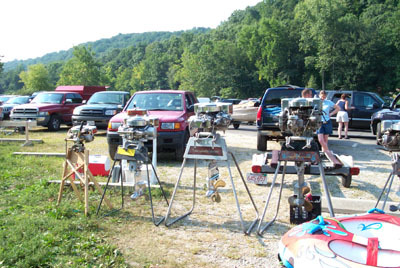 Bob G. checking in - "where is the Mercury display?" 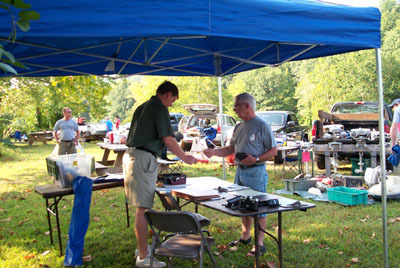 Poor Scott (in the background) was all alone at the Johnson meet! 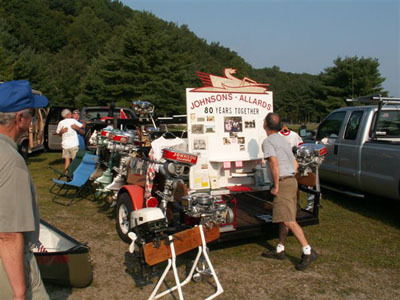 Serial # 507 - The first Johnson sold! 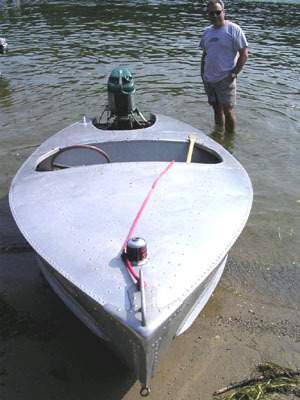 Brook's Johnson P-50 - It runs as great as it looks! 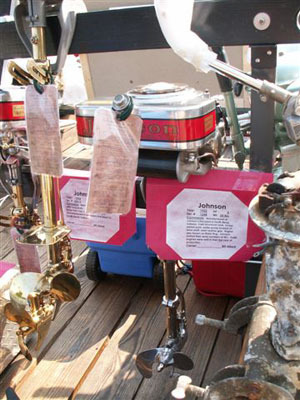 A few of the Johnsons Gary M was selling - we liked the little MS sausage tank! 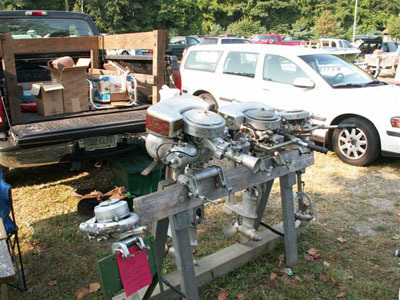 Another shot of the larger motors Gary had for sale, P, S and an early A. 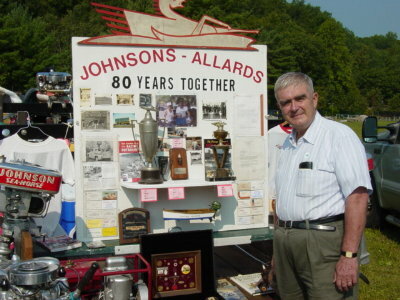 Bill B. and Bob G.
Mr. Johnson himself (Bob Z.) 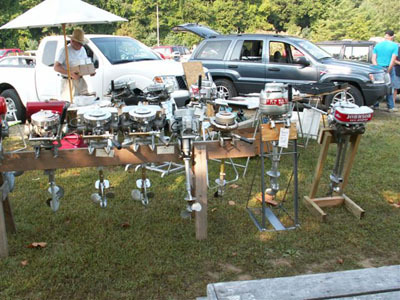 is amazed at Bill's display! 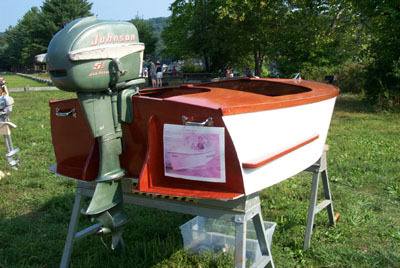 Bob G. brought this super rare Johnson inboard - note thru-hull and lower unit. 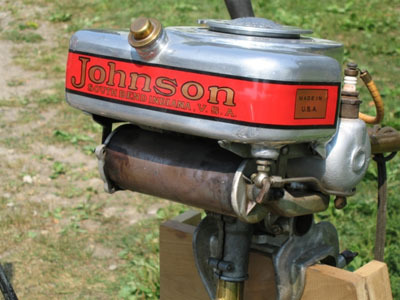 Another rarity, Johnson VE-50 - electric start version of the V-45. 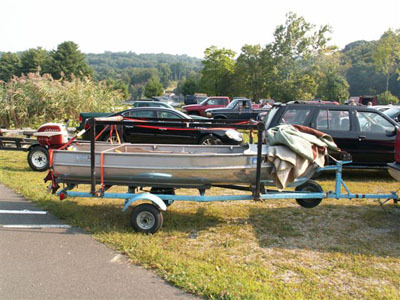 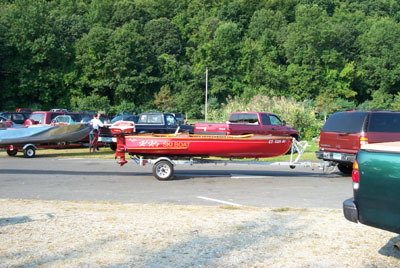 This one of Dave S. runs great too, see it in use at our Webster MA meet earlier this year. 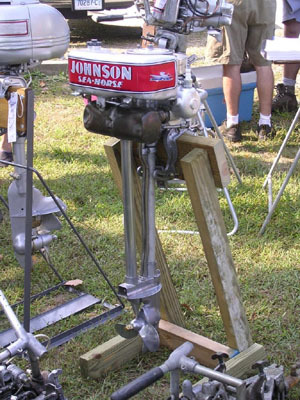 Johnson K has been well loved but still goes! 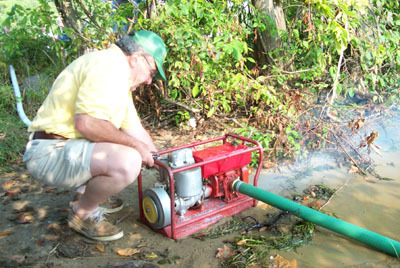 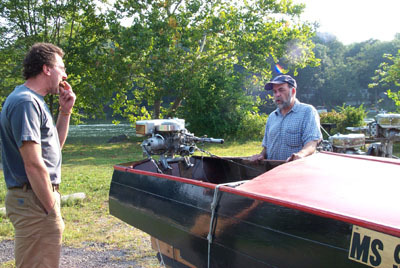 Dan and Rich G. went to fill the test tank and blew it into the river! 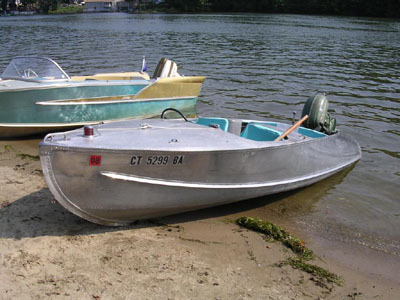 Time to launch some boats. 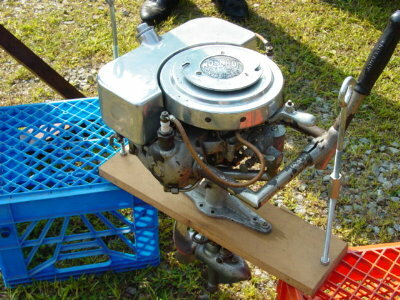 Bob Z also brought his 1972 Johnson Stinger GP Model KR-15M. 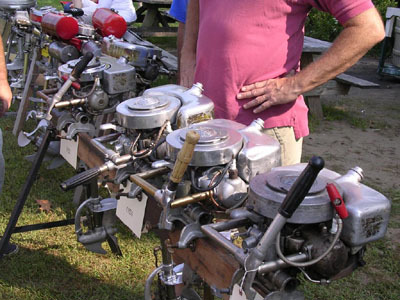 If you are not familiar with it, this is the 8 carburetor racing version of OMC's big 99 cubic inch V-4 motor. 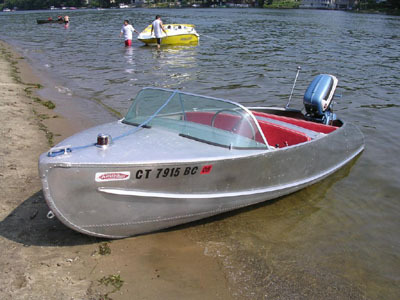 It was paired with his Magnum tunnel boat - INCREDIBLE! 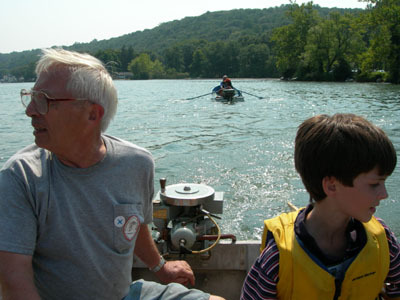 Louisa G. and Sandy A. 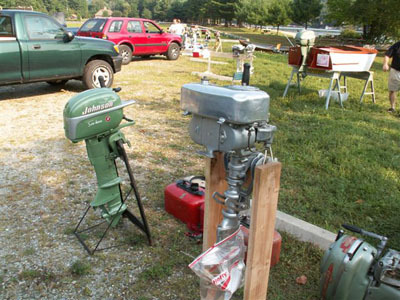 Note the red tanks on the two Johnson OA-55's. 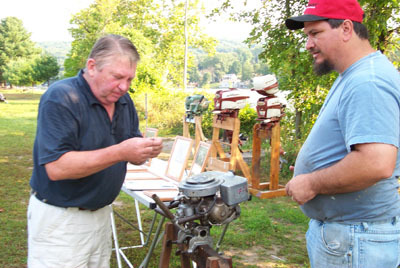 Peter explains how it works to Dean P. & Kevin C.
Here is something unique - the paint was bad on Kevin C's 1954 Johnson 5 1/2 so rather than repaint it he polished it! 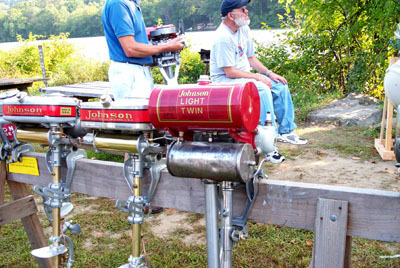 Walt & Joe still talking about that Lightwin! 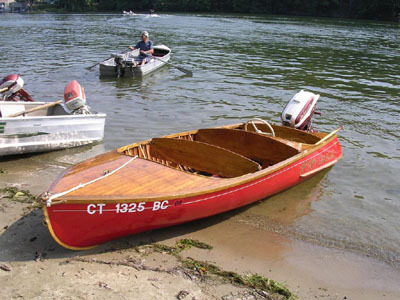 Roger H's runabout & a Feathercraft ready to go! 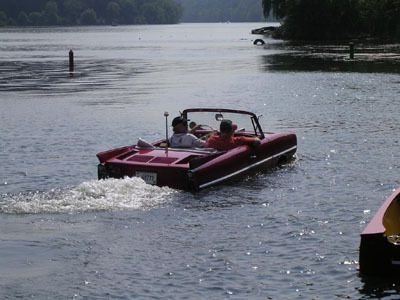 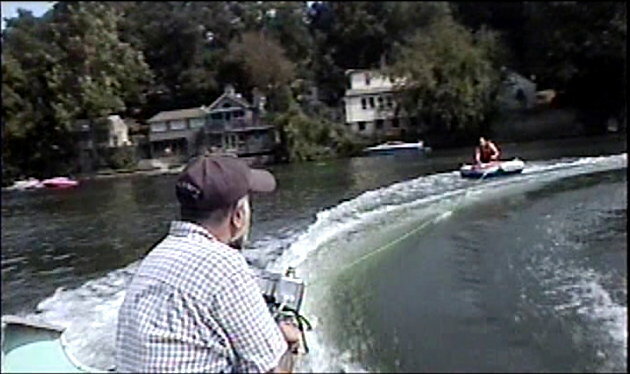 Brook N and Garry M were just tubing behind the Johnson V-45 - boy was that a cool thing to do on a hot day! 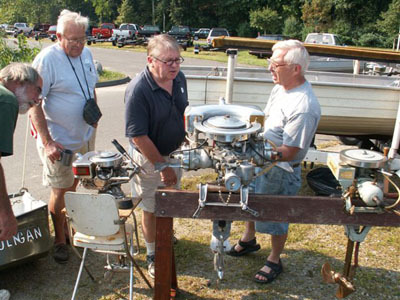 Guys in an Amphibicar saw all the old outboards and stopped by to chat! 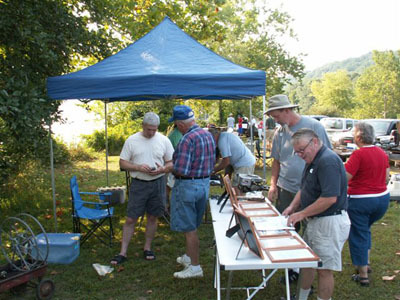 It was a great day for the Feathercrafts on the Housatonic. 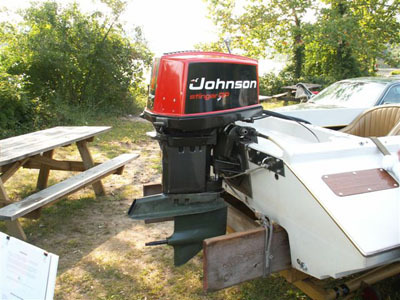 I like the '53 25hp Johnson! 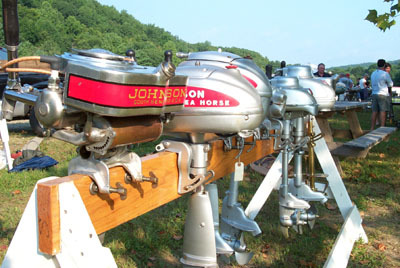 Lone Hurricane in a storm of Johnsons! 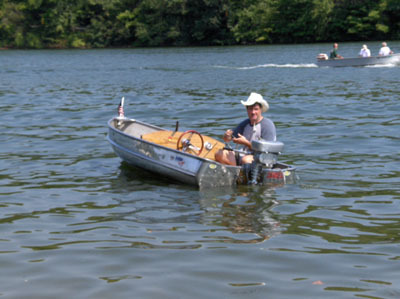 Roger H. out runnin' about! 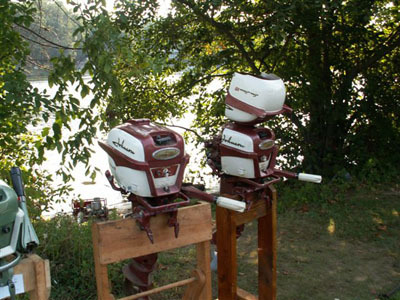 What a great river to run your antique outboard on! 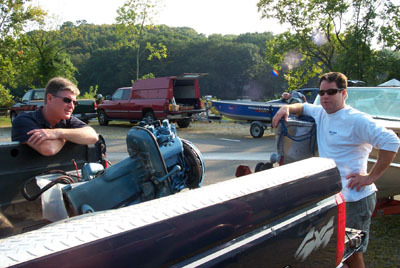 Rod & Dave discuss the extra 35 parts motor! 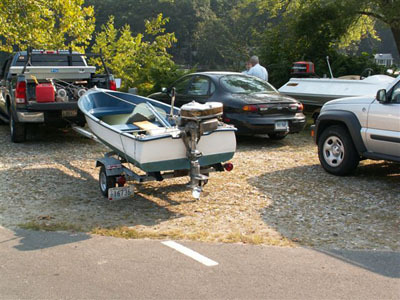 Keith, are you going to give Ken back his boat.........? 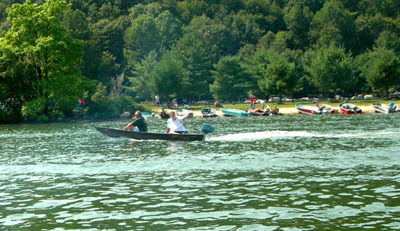 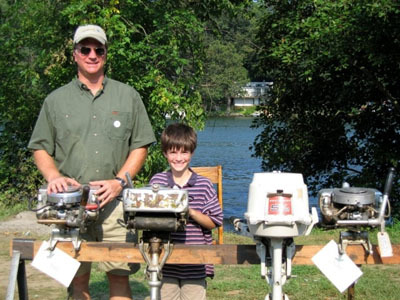 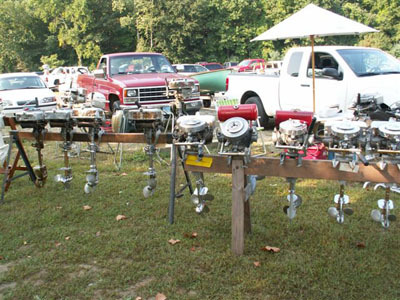 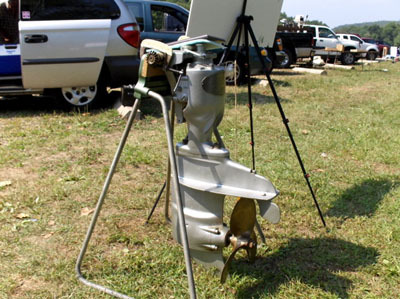 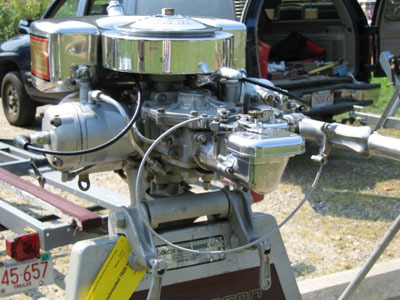 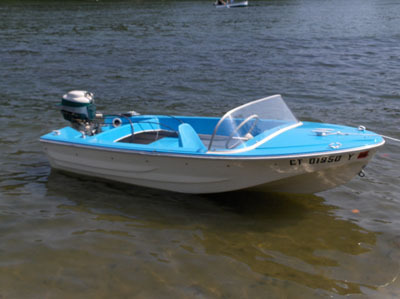 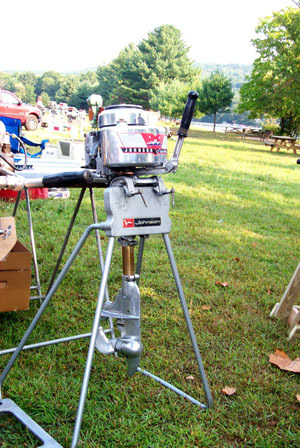 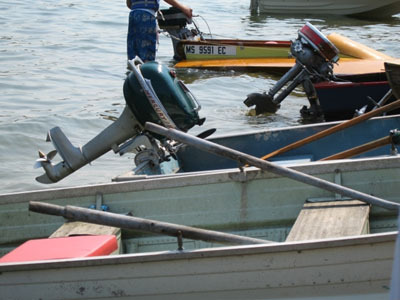 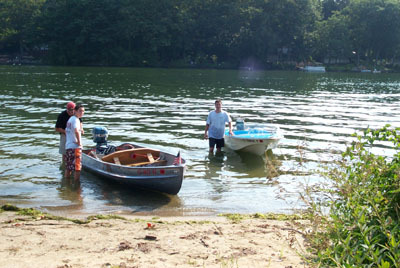 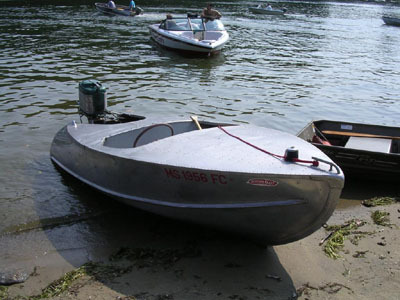 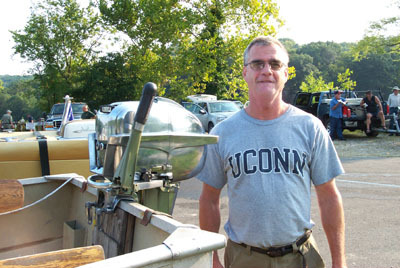 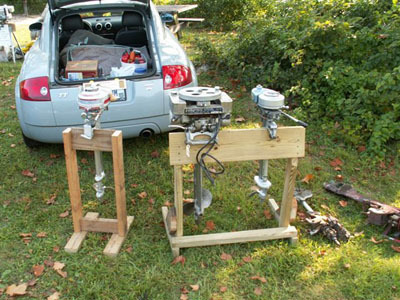 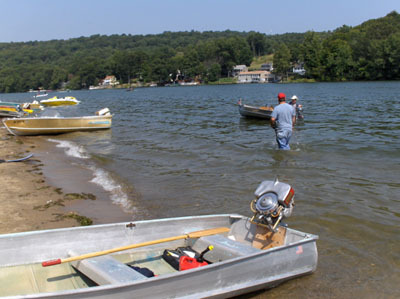 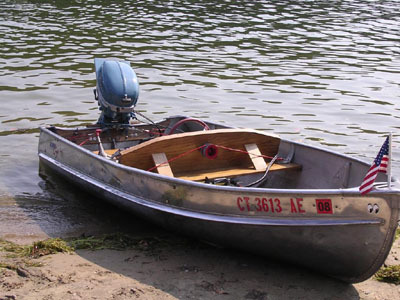 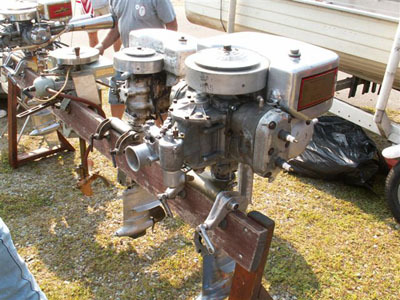 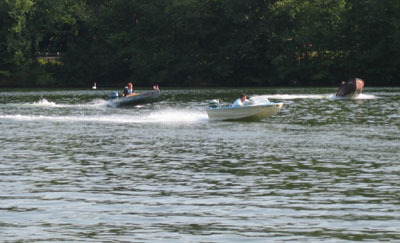 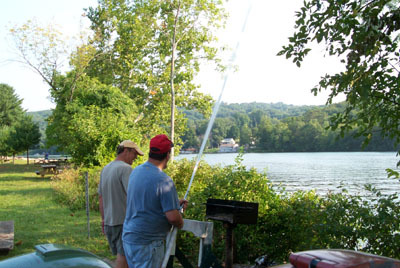 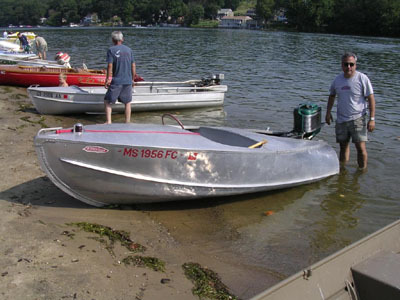 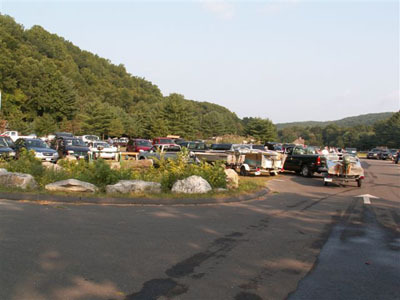 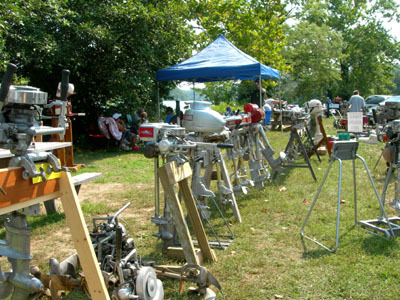 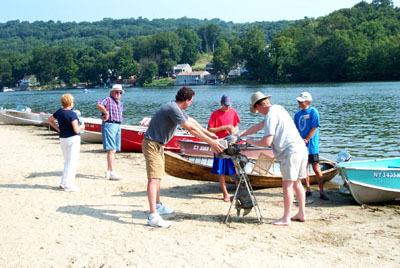 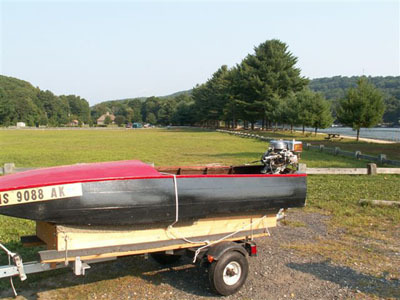 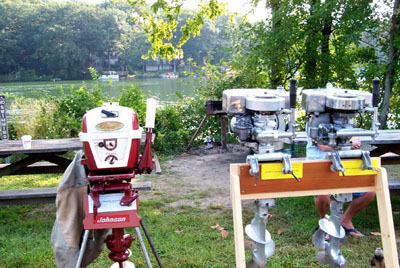 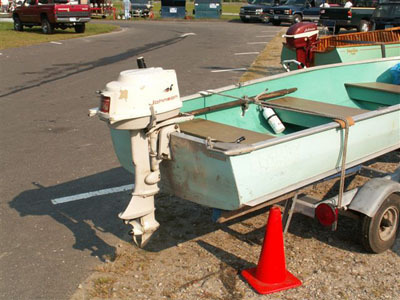 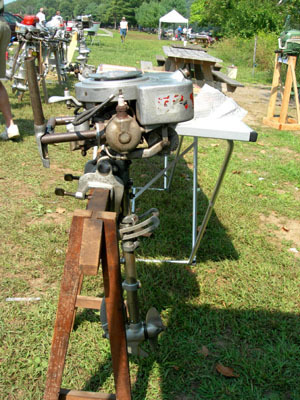 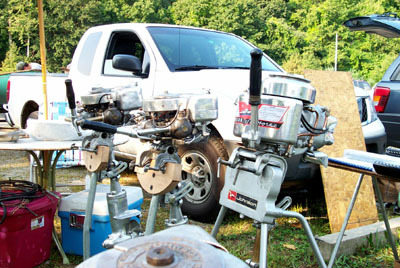 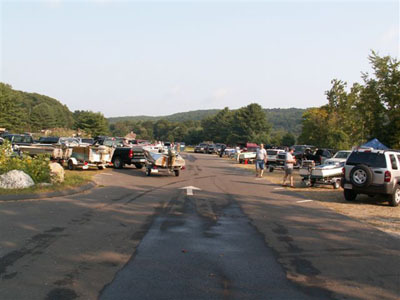 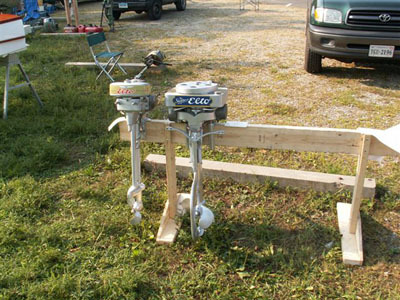 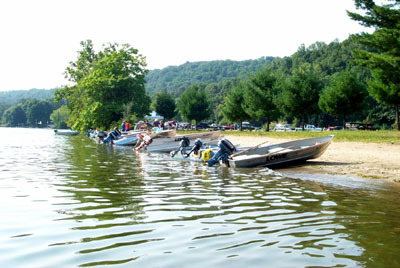 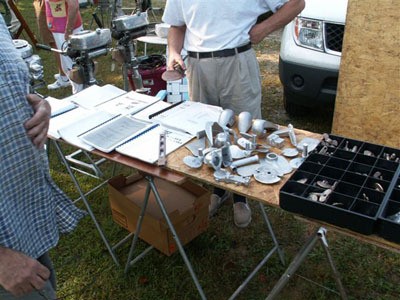 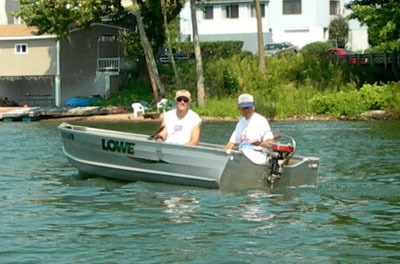 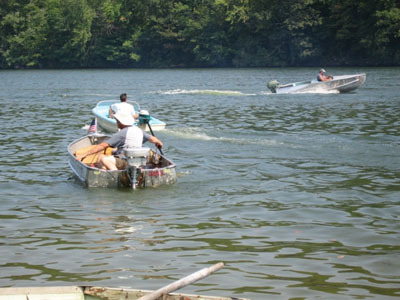 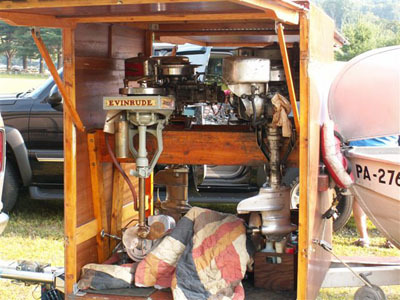 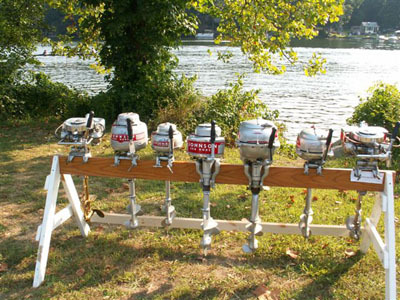 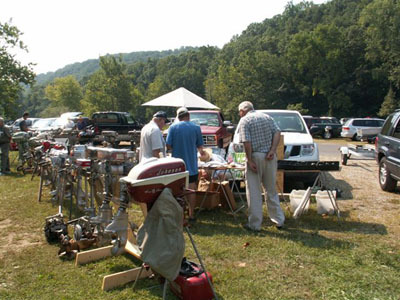 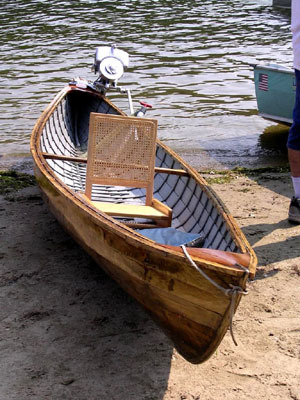 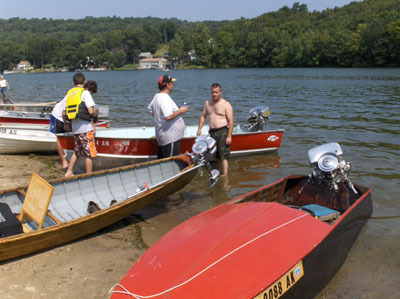 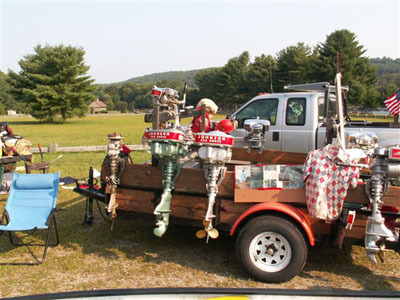 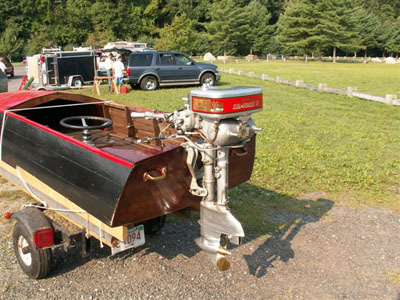 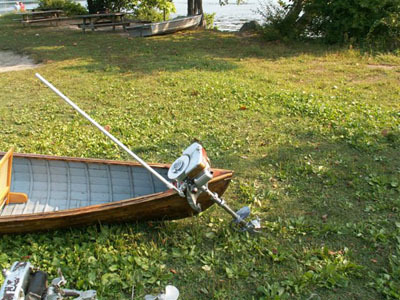 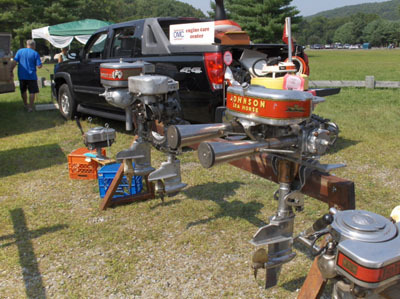 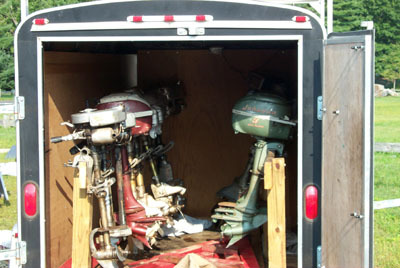 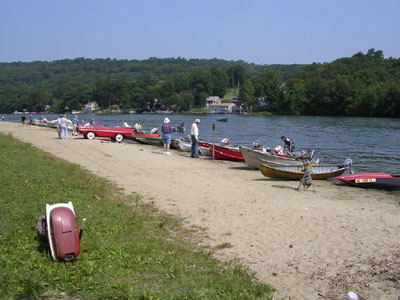 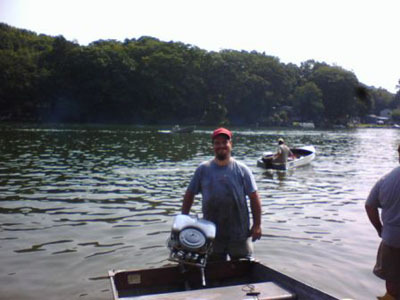 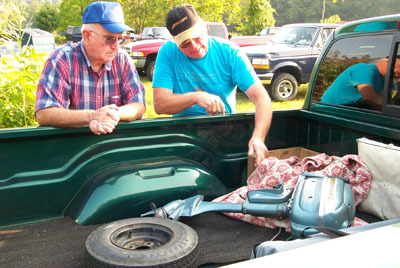 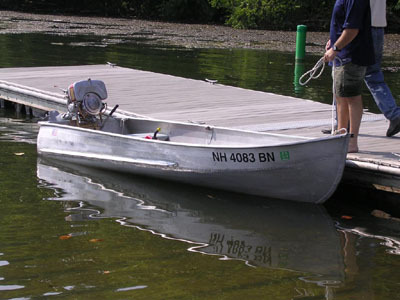 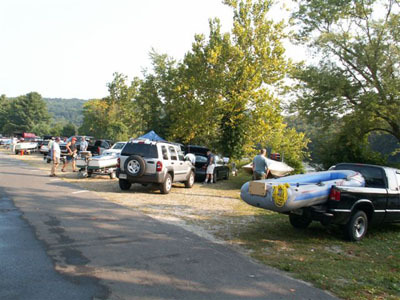 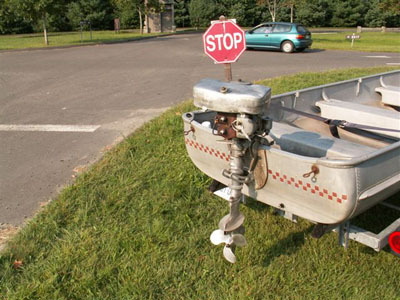 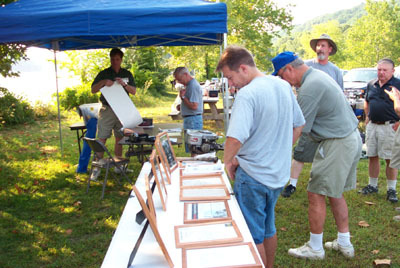 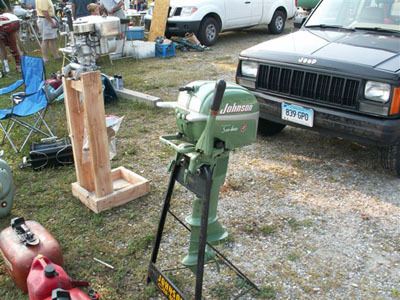 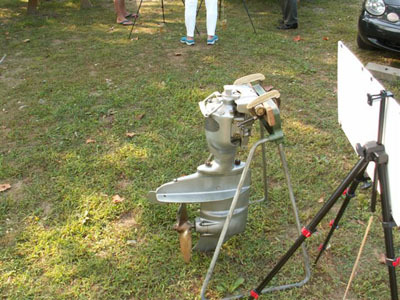 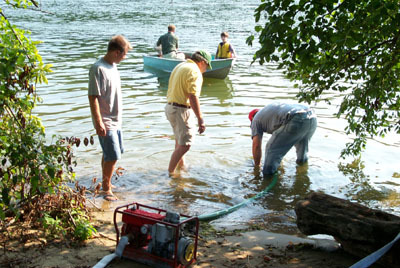 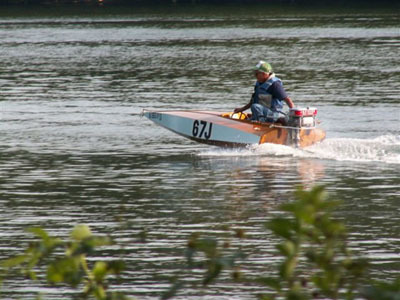 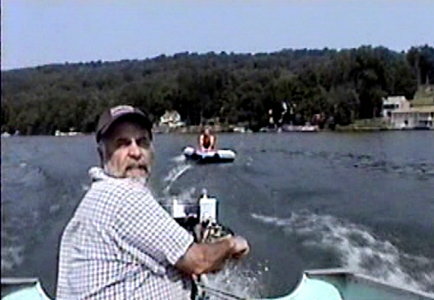 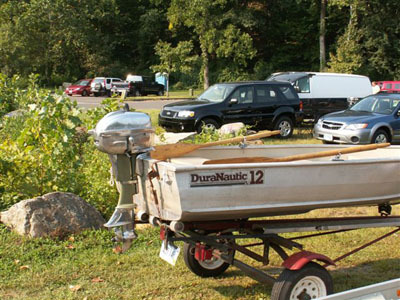 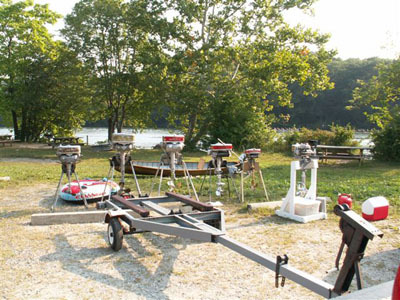 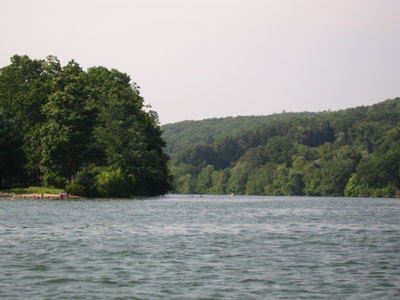 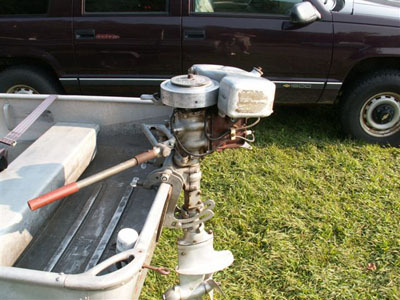 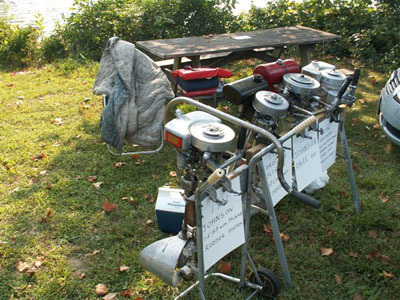 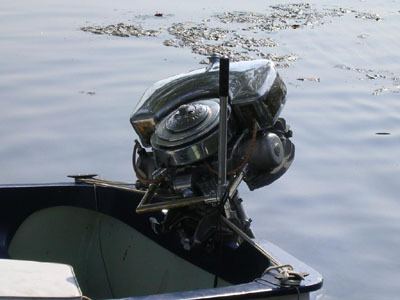 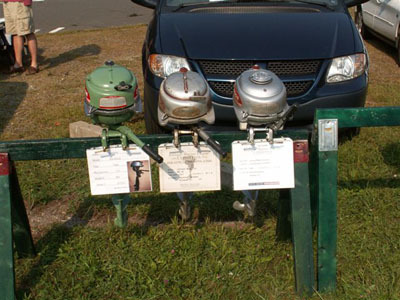 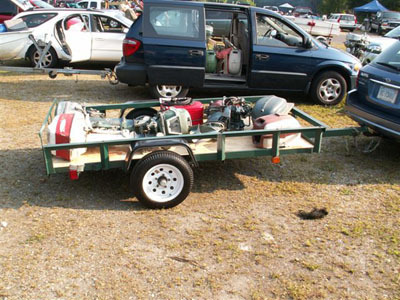 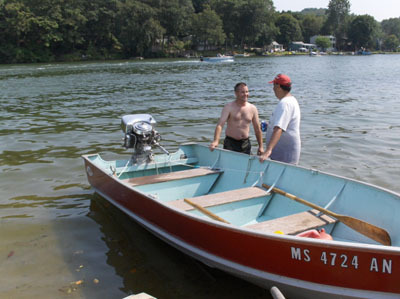 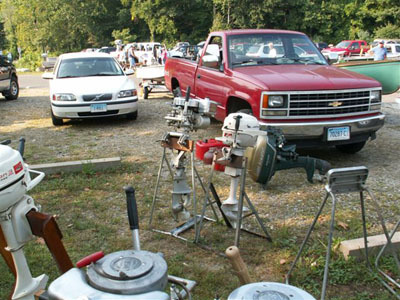 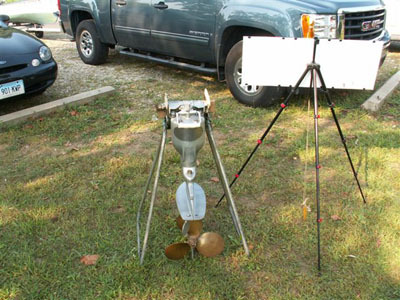 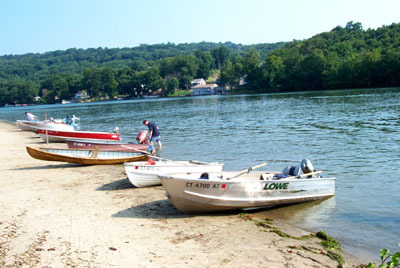 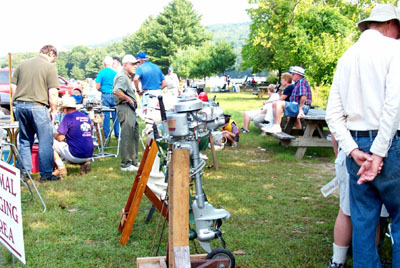 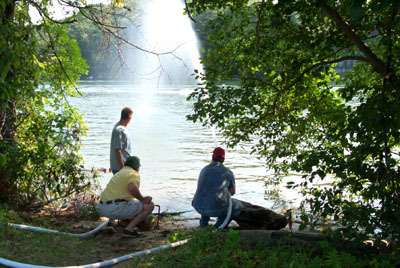 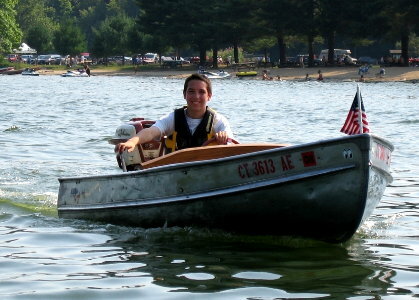 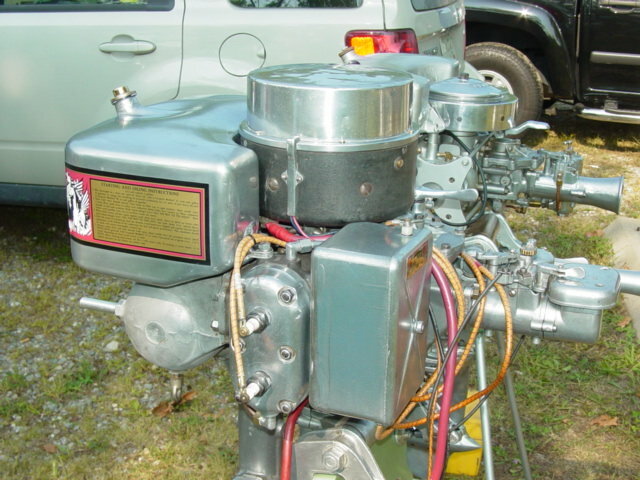 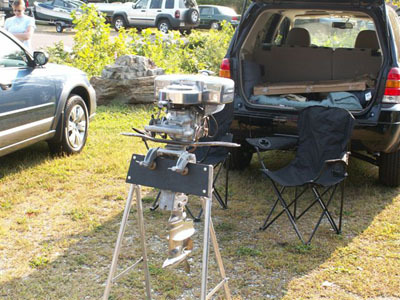 Yankee Chapter members believe that antique outboards were ment to RUN & HAVE FUN! 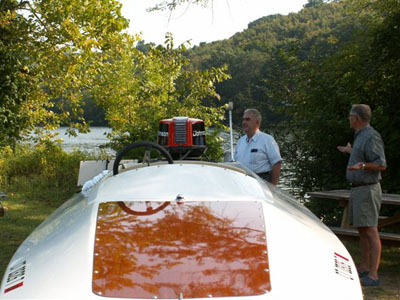 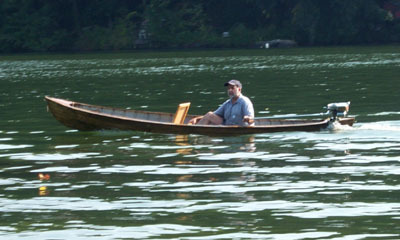 Proving this beyond any doubt, Bill A. at the helm of Brook N's fabulous Johnson V-45 while Brook tubes behind it. 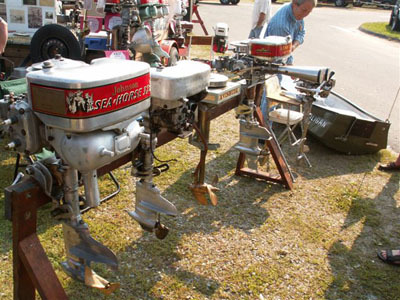 That V-45 is certainly no saw horse queen!